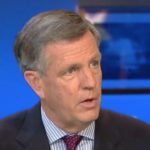 Brit Hume is an American television journalist and political commentator. Hume had a 23-year career with ABC News, where he contributed to World News Tonight with Peter Jennings, Night line and This Week. He served as ABC’s chief White House correspondent from 1989 through 1996. He then spent 12 years as the Washington, D.C., managing editor of the Fox News Channel and the anchor of Special Report with Brit Hume. "In the end, you make your reputation and you have your success based upon credibility and being able to provide people who are really hungry for information what they want." "You know, the market was down yesterday… my first thought when I heard-just on a personal basis, when I heard there had been this attack and I saw the futures this morning, which were really in the tank, I thought, Time to buy." "Fairness is not an attitude. It’s a professional skill that must be developed and exercised." "We have a society in which one of the greatest things you can do is a platform to see victim status, and one of the qualifications for that is that you have these exquisitely tender feelings about things and sensibilities which are easily offended." "My sense about Greta is that people ought to wait and see and see if she doesn’t indeed turn out to be as balanced as we hope and expect she will. But there you are."